Authors… you get excellent ones, and you get disappointing ones, and you get mediocre ones. Here are some authors that I enjoyed reading, and will not turn down the opportunity to read. 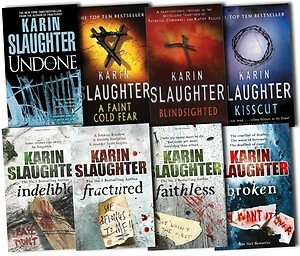 Karin Slaughter… wow. That is all I can say. And so few people here where I am actually knows who she is, so I don’t really have anyone to discuss the books with. I accidentally found Blindsighted in the back of a closet, gearing up to be chucked out. The book was old and tatty, but its sequel, Kisscut, was also there, and I had nothing else to read. It was crime thriller fiction something or other, that is all I recall thinking when I picked it up and read that she was compared to Kathy Reichs and Patricia Cornwell, both who write decently, although not too consistently, for my taste. So I bagged them, saving them from certainly being thrown out with the dusty stacks of newspapers piled everywhere. The books could not go, they are not in the same category as the shabby newspapers were. 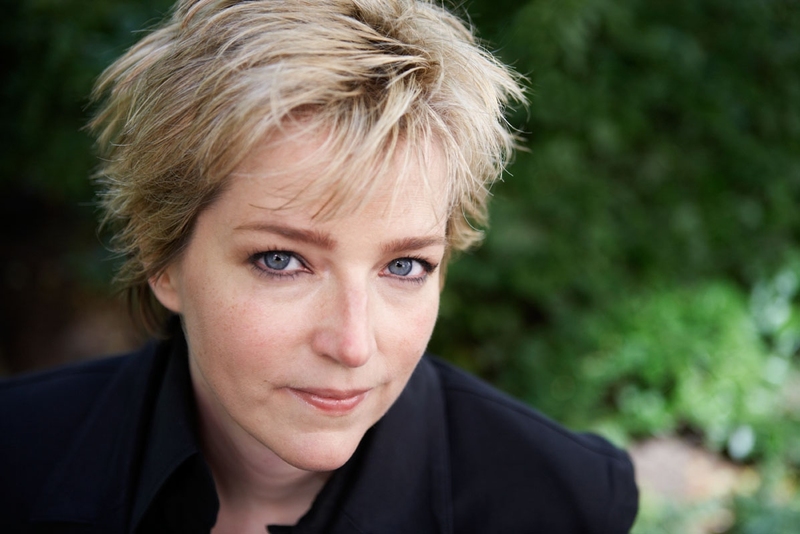 I had no other books to occupy me, and I started with Karin Slaughter’s debut novel. I have one word for her writing style: respect. By the end of the Grant County series I had forgotten they were fictitious characters, and lived on a steady diet of chocolate when I had finished with Skin Privilege. I have been inexorably drawn to her work since Blindsighted, experienced a spectrum f emotions throughout Kisscut, and that was only the beginning for me. After that there was the Atlanta series, and the two merged together for the Georgia series. I was skeptical about how she would bring two totally different story lines together, yet she does so effortlessly. She is one of my top favourite writers, hands down. Then there is Stephen King. I will not hear a bad word about him! 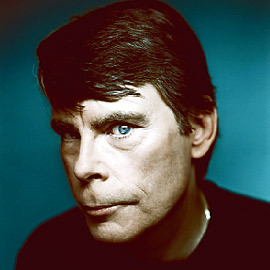 I know that there are so many that dislike his movies (even though it is apparently forgotten that the Green Mile and the Shawshank Redemption are both King creations), and I know that he writes with excruciating detail, and that some might find this to be a bit of a cliché, but Stephen King is a master. I love him! I cannot remember precisely what my first taste was, but I think it was either Dreamcatcher or Carrie. Either way, I was in love with how this man brought horror and life to the pages of his book. I have read so many of his works and they are rich in detail, description, action, thoughts, everything. You can follow what is happening, the feelings and everything is brought into stark light within the covers of his stories. When you pick up a book by Stephen King, even if the cover was missing, you would know it to be his work! I started reading his books when I was about eleven years old. I had already whipped through everything in the children’s section and dominated the young adult’s section. The library was nice enough to allow me a card and permission into the adult section. I was stunned. There were gigantic tomes of books with their faraway stories waiting to unfold. I had to know more, and there were horrors, bona fide, true horror books, not the childish ones I had become accustomed to. Naturally, the King shelves dominated the horror section, the closest secondary rival by for space being Dean Koontz. I have started building on my Stephen King collection, but I have a suspicion that it will take a long time to get where I want it to, seeing as it is such a vast compilation. 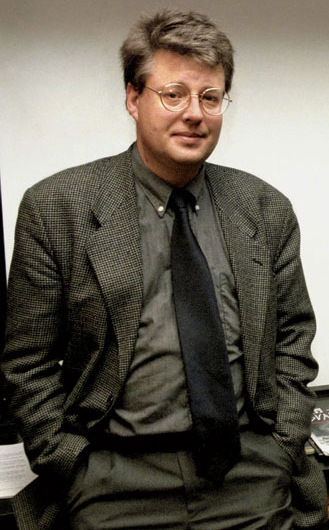 I spoke of Stieg Larsson in a previous blog that I wrote, and explained my deep seated infatuation with the man and his genius. I maintain that everyone should read his Millennium Trilogy. The story unfurls effortlessly, it keeps you hooked, and nothing can waver your anticipation. You experience the journey as though a part of it. The writing style is smooth and neat, and very well structured. I have been looking for a nice box set, and have as of yet not found anything in my region, which is rather daunting, as I believe these books belong on anyone’s shelf, and I would love to have it as a collected works. 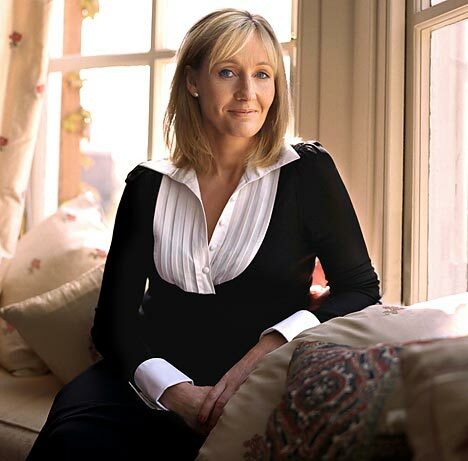 J.K. Rowling is another classic to this list. I wrote a blog on Harry Potter, here, too. But about the author, and how I stumbled upon her books? Wow. Really. I think it one of the best things that I had ever had the fortune of coming across (not that it would have been easy to miss a few years later when it got super popular). I was reading them pretty much since release. My aunt loaned me The Philosopher’s Stone when she heard that I couldn’t get to the library until the weekend. I read the book 4 times before I returned it to her. I was in love. There was this beautiful world, with great people, with crazy adventures, and real lessons. It was amazing. Obviously, as a child, you read it and you know it is fiction. That did not prevent me from waiting for my very own letter from Hogwarts for years. Alas, it never came, and I was sorely disappointed. I think the Potter series was also great because it gave children something to believe in, to hope for. He had it tough, and he survived it. Things are not always what they seem, and anything can be overcome, and evil does not triumph against those who will fight for the greater good. 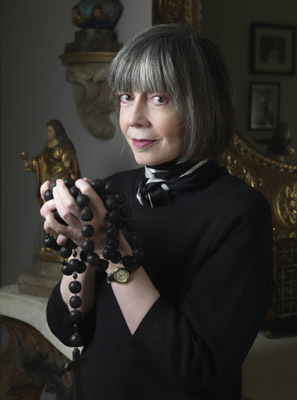 I truly enjoy Anne Rice. I loved her Vampire Chronicles, and painstakingly and extremely expensively built that entire collection up from scratch. I love her writing style, but her work is very deep, dark and thought evoking, not light reading to just pass time. The way the characters are introduced and their development is amazing, but I really wish she would have focused a bit more on Armand. He was my favourite character of anyone she had ever written about. He was the strangest one, the most demented, dark and tortured soul ever. I obviously watched the movies, (Interview With A Vampire and Queen Of The Damned) but they really are nothing compared to the books. Sad, because if done right the movies could bear so much potential. The first book that I ever read from Anne Rice was The Vampire Armand. I was totally drawn in and besotted with his character. He was perfect… perfectly broken, that is. She really is the Queen of dark, romantic and gothic writing. One thing that she nailed perfectly is realism for vampires, not this twinkly rubbish that we have been submitted to recently. I hope to start on the Lives of the Mayfair Witches soon, as they were rather intriguing to me when they come up in the later novels in the Vampire Chronicles. This calls for the Distance Book Club again! I would love any author/book suggestions, so throw them along! Who are some of your favourite authors, and what drew you to them? This entry was posted in Books and tagged Anne Rice, Atlanta Series, Blingsighted, Carrie, debut novel, Dreamcatcher, Georgia Series, Grant County Series, Harry Potter, Hogwarts, Interview With A Vampire, JK Rowling, Karin Slaughter, kathy reichs, Kisscut, Lestat, literature, Lives of the Mayfair Witches, Mayfair Witches, millennium trilogy, Patricia Cornwell, Queen of the Damned, Sara Linton, shawshank redemption, Skin Privilege, Stephen King, stieg larsson, The Philosopher's Stone, The Vampire Armand, thriller fiction, Vampire Chronicles, Will Trent. Bookmark the permalink.